When we are applying for a loan, not many of us understand the way the interest rate is arrived at, or the entire calculation per say. Now, you must be wondering; why is it even important in the first place? How does it make a difference to my loan ? Well, it all starts with our understanding of the base rate regime. In the simplest of words, The Base Rate means a minimum rate below which banks are not supposed to provide loans as per the RBI’s guidelines ( from July 2010 onwards). The Base Rate is arrived at, by taking into account several factors that include the costs incurred by the bank while sanctioning a loan. Please note that, this rate is unique to every bank and is not commonly set by the RBI. Unlike the earlier concept of the Benchmark Prime Lending Rate which gave room for discrepancy, the current policy is to ensure greater transparency in the entire scheme of things. 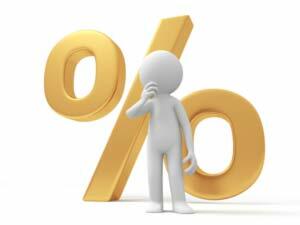 How does Base Rate affect home loan interest rates? Always be sure of the rate you are going ahead with, because sometimes the offer is depicted in such a way where 1.25% above a base rate of 9% may not be comprehensible for some of us, (when it actually means 10.25%). The base rate could change once every quarter or sometimes during the quarter as well. Usually, it changes by 25 basis points or 0.25%, i.e. if the base rate is 9.75% and it increases by 25 basis points, then it will increase to 10.00%. After every revision, the banks are required to publicize this change in the news as well as on their official website. If you have availed a loan, then it is advisable for you to keep a tab on the varying base rate as this may affect the interest rate at which you will be repaying your loan; especially if you have chosen the floating rate option.